If you’re aged between 13-19yrs, based in the Wembley area and interested to support the planning and set up of an exhibition, research, conduct interviews or create a short film we’d love to hear from you! 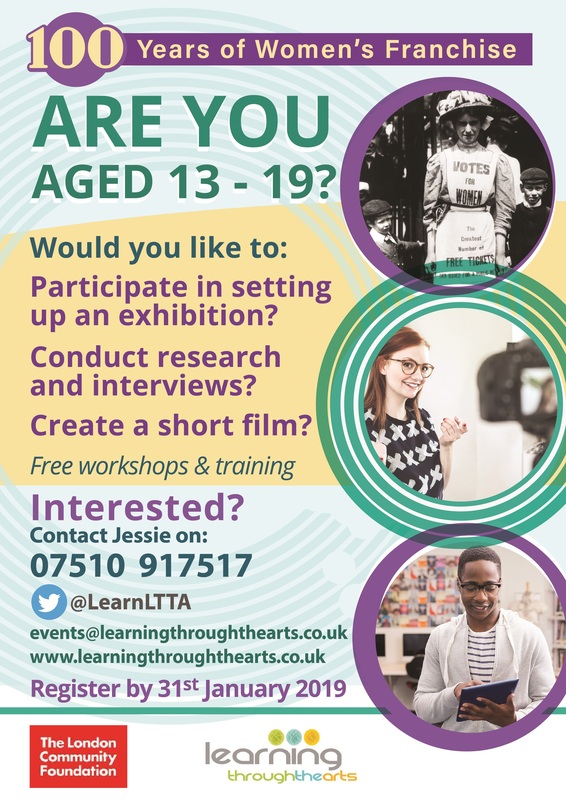 If you’d like to learn more or get involved, contact Jessie/ Carys via 07510 917517 or @LearnLTTA, or email events@learningthroughthearts.co.uk. This project is kindly supported with funds from the London Community Foundation.